A wig is a head covering prosthetic made from human hair, synthetic or animal hair. The first wigs were made in 600 AD and The word wig is short for periwig which first appeared in the English language around 1675. Some people wear wigs to disguise baldness; a wig may be used as a less intrusive and less expensive alternative to medical therapies for restoring hair. Wigs may also be used as an article of apparel, or to fulfill a religious obligation. Actors often wear costume wigs in order to portray a particular characters. After the fall of the Roman Empire, not to mention their upper class use of wigs, Wigs fell into oblivion for almost a thousand years, until (head lice) first appeared and heads were shaved because they didn't have anything else to get rid of lice. Remember, one of the main purposes for hair is protection and adornment, and when people had to shave their heads or experienced hair loss, it was a status symbol(or lack there of) that was at stake and the damage from the hot sun that they needed these wigs for. PeriWig makers popped up all over the kingdoms and became big business. They also became sought after and thought of as prestigious men. Further, periwigs for men were introduced into the English-speaking world with other French styles when Charles II was restored to the throne in 1660, following a lengthy exile in France. These wigs were shoulder-length or longer, imitating the long hair that had become fashionable among men since the 1620s. Their use soon became popular in the English Court and are even wore today in Parliament. Wigs were not without their problems though, they were very heavy and very hot and compared to today's wigs, there were knots in the cap that produced sores on peoples heads. In the 18th century, male wigs were powdered in order to give them their distinctive white or off-white color. Women in the 18th century, did not wear wigs, but wore a coiffure supplemented by artificial hair or hair from other sources. Women mainly powdered their hair Grey, or blueish Grey, and from the 1770s on-wards never wore bright white, like men. Wig powder was made from finely ground starch that was scented with orange flower. Wig powder was occasionally colored violet, blue, pink or yellow, but was most often used as off-white. As far as style was concerned, it was curl curl curl!!!!. And at formal diners and State Side events, the women s wigs, like today, were usually styled in some sort of Up-do or elegant style. These wigs were called “theme” wigs. Powdered wigs (men) and powdered natural hair with supplemental hairpieces (women) became essential for full dress occasions and continued in use until almost the end of the 18th century. The 18th century also produced a slightly more comfortable cap made out of sheep's skin. In the 19th and 20th century,The wearing of wigs as a symbol of social status was largely abandoned in the newly created United States and France by the start of the 19th century. In the United States, only four presidents from John Adams to James Monroe wore curly powdered wigs tied in a queue according to the old fashioned style of the 18th century. Unlike them, the first president, George Washington , wore a powdered, curled and tied in a queue(a braid wore in the back) . During the late nineteenth and early twentieth century hairdressers in England and France did a brisk business supplying postiches, or pre-made small wiglets, curls, and false buns to be incorporated into the hairstyle. The use of postiches did not diminish even as woman's hair grew shorter in the decade between 1910 and 1920, but they seem to have gone out of fashion during the 1920s.In the 1960s a new type of synthetic wig was developed using a Modacrylic made wigs more affordable. Reid-Meredith was a pioneer in the sales of these types of wigs. And Yes, AJ'S Wigs, is the oldest wig company in the United States started by AJ Houle in 1936. It is exciting to own AJ'S and be apart of history!!!!! In Britain, most Commonwealth nations, and the Republic of Ireland special wigs are also worn by writers, judges, and certain parliamentary and municipal or civic officials as a symbol of the office. Hong Kong barristers and judges continue to wear wigs as part of court dress. In July 2007, judges in , New South Wales wearing of wigs in the NSW Court of Appeal. New Zealand lawyers and judges have ceased to wear wigs except for special ceremonial occasions such as openings of Parliament or the calling of newly qualified barristers. In Canada lawyers and judges do not wear wigs. A number of celebrities, including Donna Summer, Dolly Parton, Sia Furler, Katy Perry, Melanie Martinez, Lady Gaga, Diana Ross & The Supremes, Tina Turner and Raquel Welch have popularized wigs. Cher, the queen of Wigs, has worn all kinds of wigs in the last 40 years- from blonde to black, and curly to straight. They may also be worn for fun as part of fancy dress wearing), when they can be of outlandish color or made from tinsel. Jewish law requires married women to cover their hair for reasons of modesty . Some women wear wigs, known as shei-tels, for this purpose. With Orthodox Jews the men will often wear human-hair wigs. Wigs are used in film, theater, and television. In the Japanese film and television . Wigs are used extensively to alter appearance to reflect the character. Only a few actors starring in big-budgeted films and television series will grow their hair so that it may be cut to the appropriate hair style, and forgo using a wig. Wigs are worn by some people on a daily or occasional basis in everyday life. This is sometimes done for reasons of convenience, since wigs can be styled ahead of time. They are also worn by individuals who are experiencing hair loss due to medical reasons (most commonly cancer patients who are undergoing Chemotherapy, or those who are suffering from alopecia arieata. Some men who cross dress as women wear wigs in different styles to make their hair seem more feminine. And finishing the history of wigs, are Military Wigs. From the late 17th to early 19th centuries, European armies wore uniforms more or less imitating the civilian fashions of the time, but with militarized additions. As part of that uniform, officers wore wigs more suited to the drawing rooms of Europe than its battlefields. The late 17th century saw officers wearing full-bottomed natural-colored wigs, but the civilian change to shorter, powdered styles with pigtails in the early 18th century saw officers adopting similar styles. The elaborate, over-sized court-styles of the late 18th century were not followed by armies in the field however, as they were impractical to withstand the rigors of military life and simpler wigs were worn. While officers normally wore their own hair short under a powdered wig, the rank and file of the infantry was not afforded such luxury. 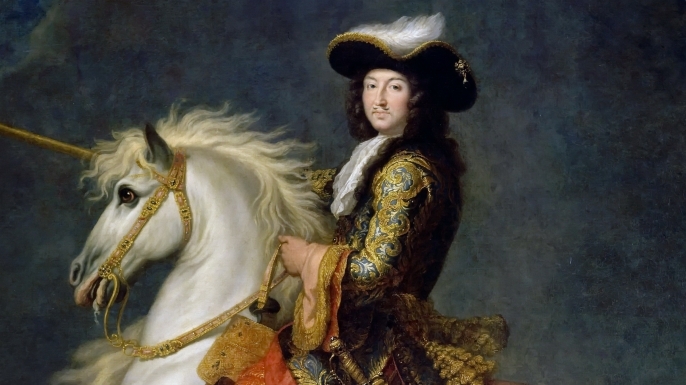 Instead of wigs, the men grew their hair long and according to the prevailing fashion in a nation's army, hair was either allowed to grow long with simple modeling, as in the French army of the 1740s, or else was elaborately coiffured as in Prussian and British armies. In the case of British soldiers of the 1740s, contemporary artwork suggests that they cut their hair short, which was not the case. Instead, the men used tallow or other fat to grease the hair, which was then fashioned into pigtails and tied back into the scalp hair to give the impression of short hair. It was then liberally dusted with powdered chalk to give the impression of a powdered wig. Later in the century, hair was likewise tied back, greased and powdered, but false hair pigtails were adopted, kept in a tubular queue and tied back with ribbons to the soldier's own hair. The overall effect was that of a wig with a long tail and bow. The Prussian army took personal hairstyles to an extreme during the time of Frederick the Great. each soldier commonly having a long pigtail hanging down the back nearly to waist level. One thing is for sure. The use of Wigs have not really changed that much over the thousands of years since the first one was made(1675). But the one thing you can count on, is that wigs will always be around for thousands of more years to come, especially with fashion wigs coming back full force. Men and women want to look their best and don't have the time it takes to perfect their style every day, and with wigs that are custom made, it's easier to put a wig on.